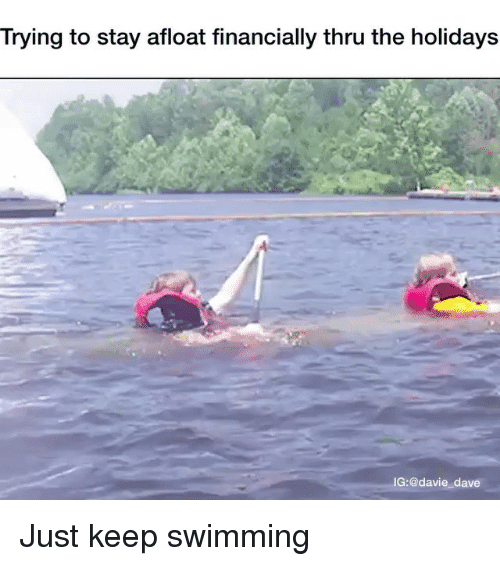 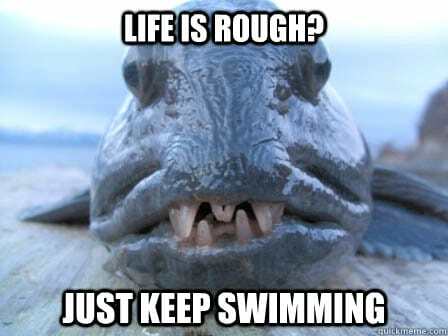 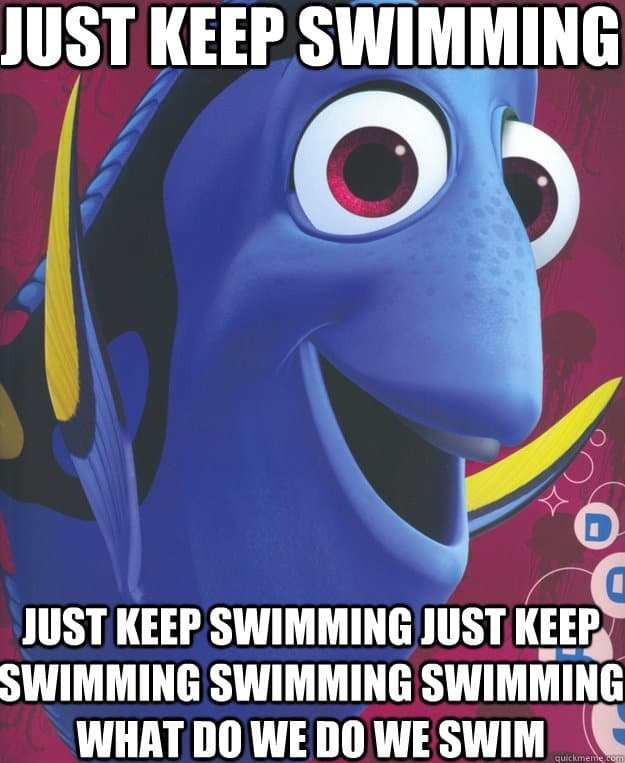 Remember Dory’s famous line, “Just keep swimming”? 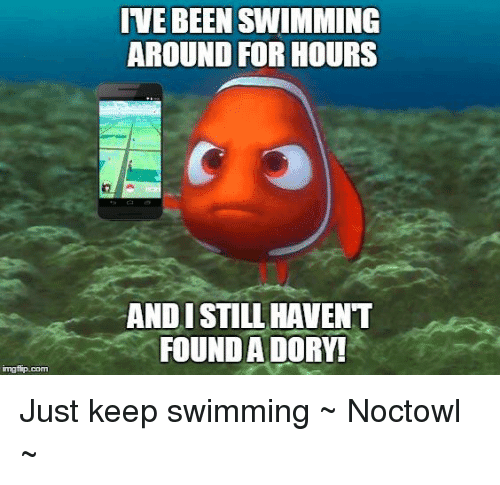 It sure did help push Marlin to go on further and find Nemo. 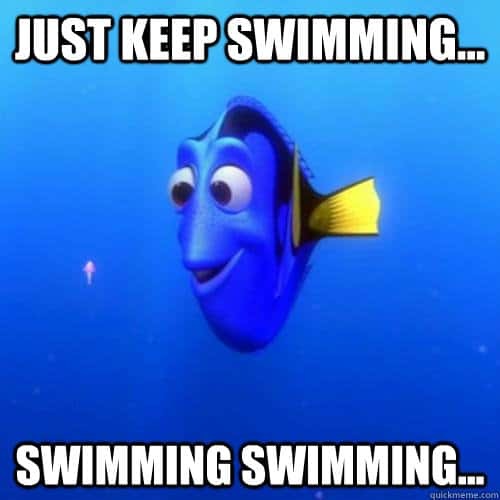 If you are like Marlin who’s feeling stressed out and overwhelmed, it’s easy to think that nobody understands what you’re going through. 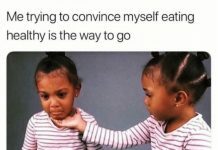 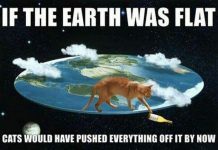 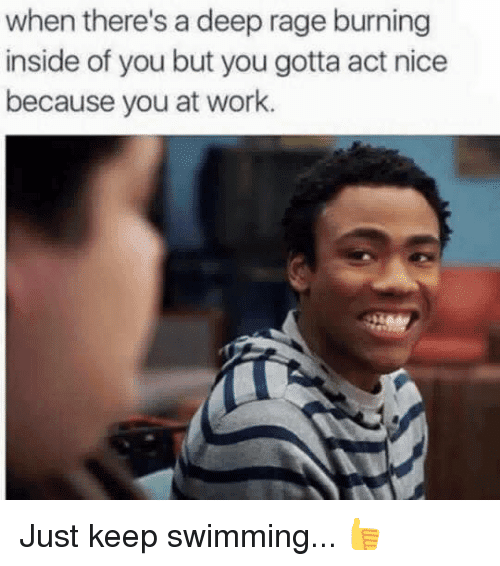 And because of that, you may just want to give up. 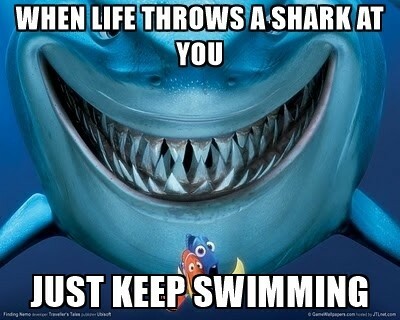 Now, before you actually hold your white flag up, we like to give you a bit of motivation. 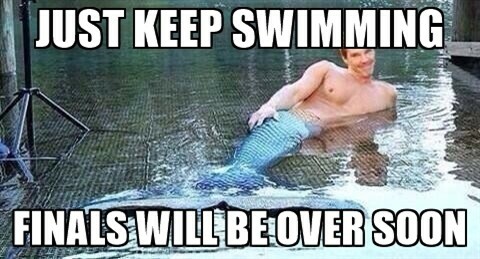 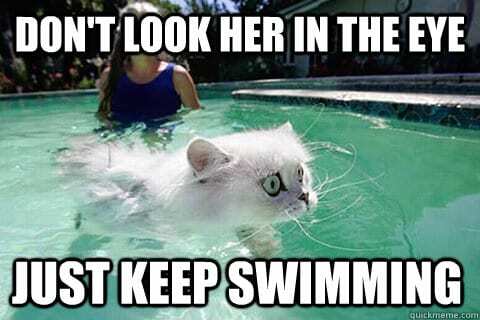 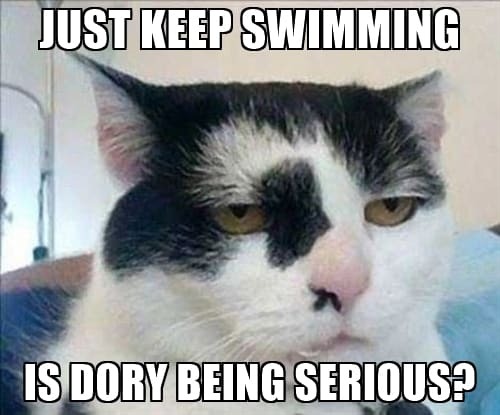 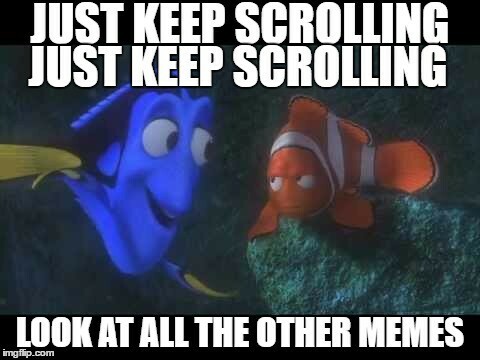 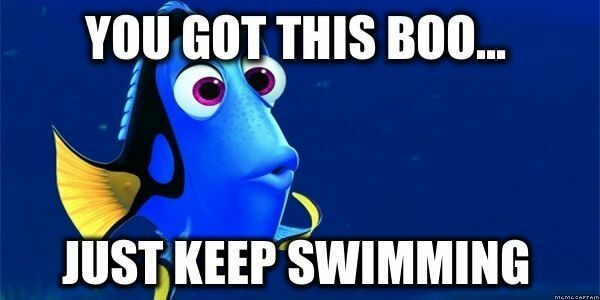 Here’s our just keep swimming meme collection to push you to go further. 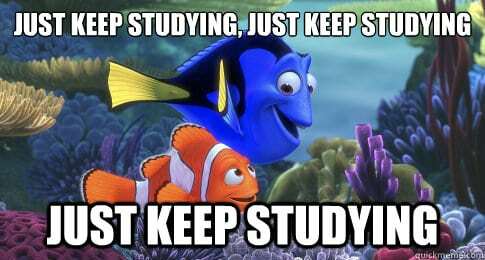 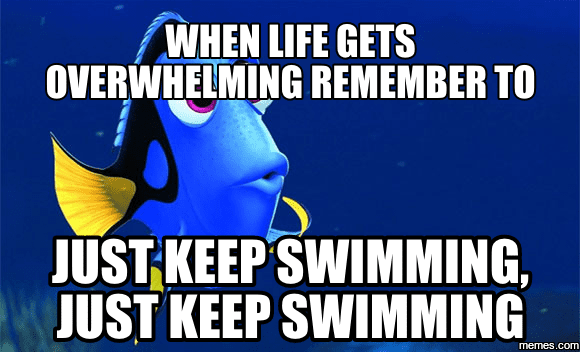 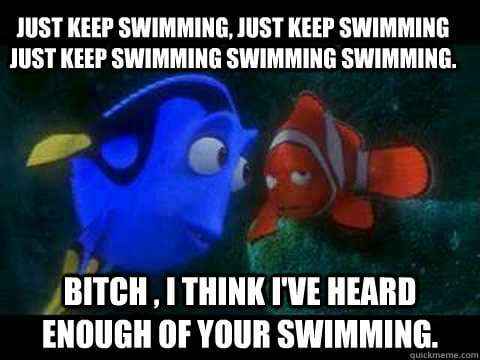 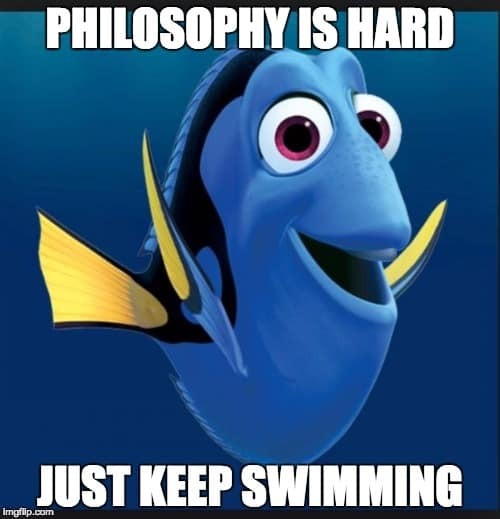 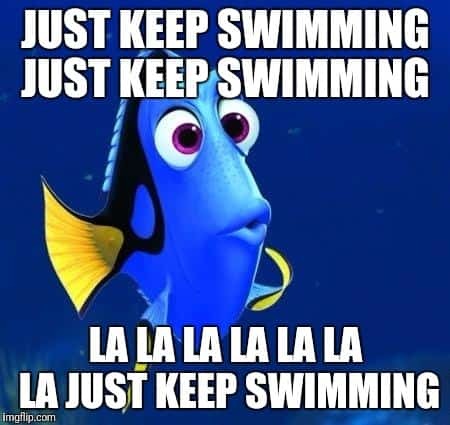 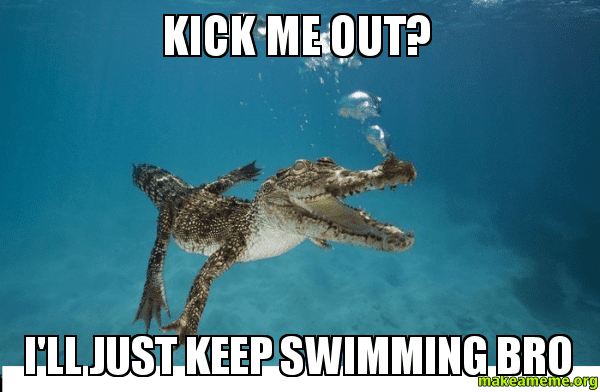 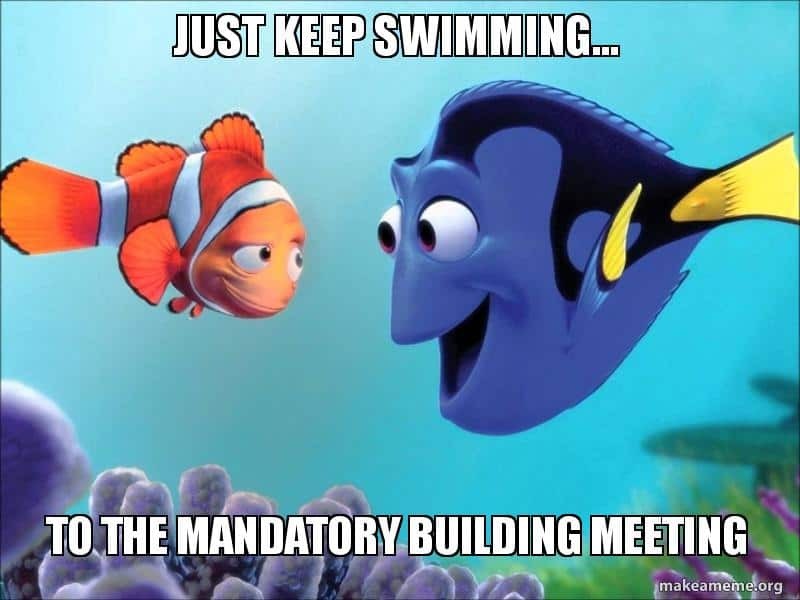 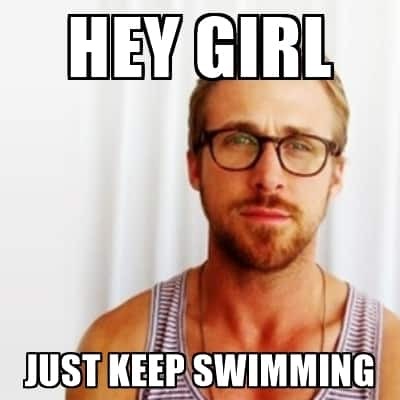 Don’t forget to share your favorite just keep swimming meme with your friends and colleagues who need a little push!